Bordetella (Bd) is a highly infectious disease which causes kennel cough in dogs. 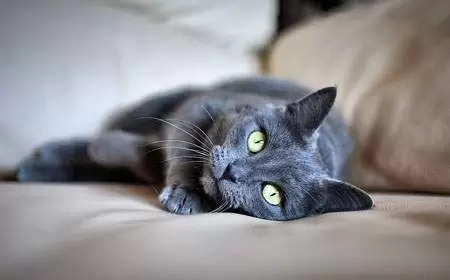 The disease is caused by the bacteria Bordetella bronchiseptica and can be a primary cause of respiratory disease in cats or it may run as a concurrent infection with viral infections such as calicivirus and feline herpesvirus. Bordetella bronchiseptica is related to Bordetella pertussis, which is responsible for whooping cough in humans. It is more commonly a problem in multi-cat households. Multi-cat households, boarding catteries, and shelters may be at greater risk than single cat households due to the high infectiousness of this disease. Inanimate objects such as floors, bedding, toys, litter trays and food/water bowls. As well as cat to cat transmission, dogs can also pass the disease on to cats. The incubation period for bordetella is between 3 – 10 days. Infection in adults is usually mild, however, the infection can be more serious in kittens who can appear fine one moment and rapidly progress to bronchopneumonia. It is possible for a cat to be a carrier. That is they ‘carry’ and can pass on the infection but do not show clinical symptoms. Your veterinarian will perform a complete physical examination and obtain a medical history from you. It is not possible to diagnose bordetella by presenting symptoms and diagnostic tests will be necessary to determine the pathogen. Swabs of ocular or nasal discharge will be taken and cultured to isolate the bacteria. It is harder to diagnose bordetella in carrier cats as the bacteria is only shed intermittently, therefore they can return negative test results. Your veterinarian will prescribe a course of antibiotics to treat Bordetella. Severely affected cats will need supportive care which may include fluids, nutritional support and wipe away ocular or nasal secretions with clean, damp gauze. Thankfully Bordetella doesn’t survive for long in the environment. The following disinfectants are effective against bordetella.